Wouldn’t a monkey’s bike have a banana seat? Cycling is ninety percent mental and the other half is physical. 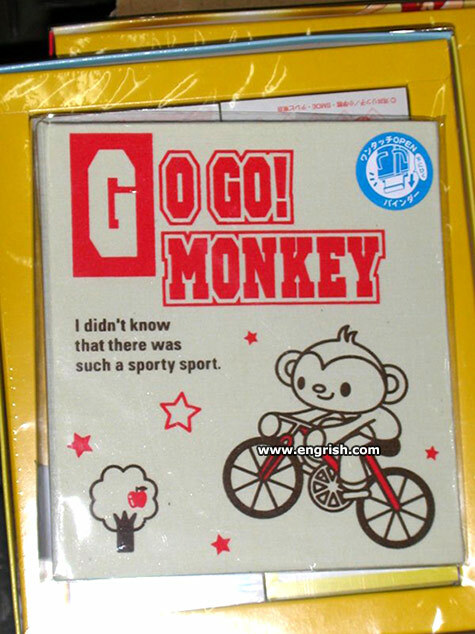 How much sport would a sporty sport if a monkey could sport sport? It doesn’t matter how fast the monkey pedals, it will still be stationery. I’d say we have another contender for the logo for Trump’s Space Force. @DnT: Yes, the Russkies had to resort to a dog. Hello monkey you look happy today. A little say anything. What’s that smell? Spank Spank! Monkey – I didn’t know that there was such a spurty spurt. @Long Tom | 8:05 am: And it looks like they’ve been grooming him for around 30 years. Oh, wait… did you mean Laika? @DnT: Yes, I did mean Laika. Of course they did have space experiments with monkeys as well, including how people can survive in a vacuum. @Wax Frog | 4:19 pm: My inner 12-year-old LOL’d! @Pete: Thanks, I cannot remember everything. You didn’t know the rest either. Oddly, I did remember Chim-chim.